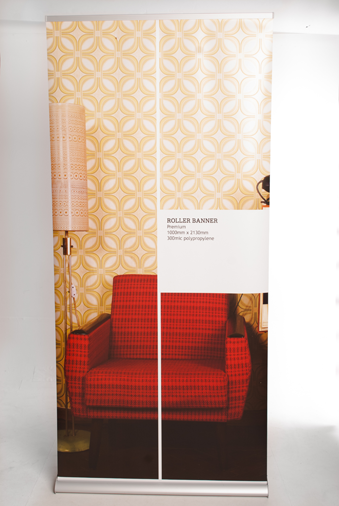 All our roller banners are printed on recyclable heavy 300mic polypropylene with lightblock backing, pre-fitted graphics, a brushed aluminium stand and a carry bag. 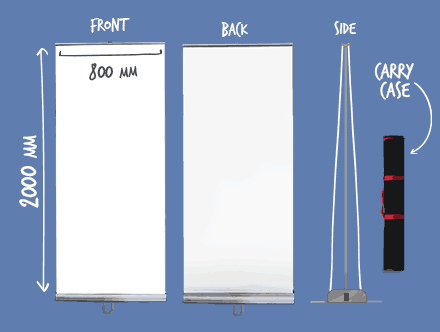 Standard roller banners are great value & light weight. Ideal for short term and occasional usage. 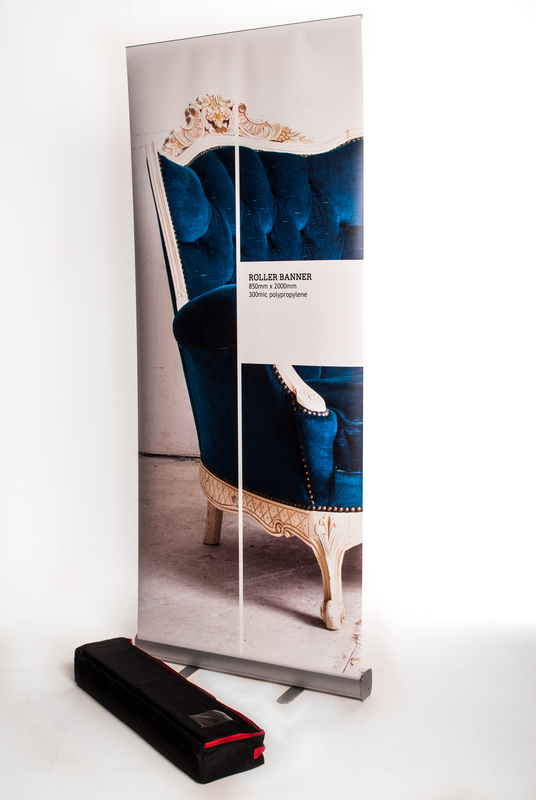 Premium roller banners have a sleeker look with a heavier base and more robust build for extra longevity. Standard double sided roller banners come with two identical pre-fitted graphics. Above prices are for single design graphics only. 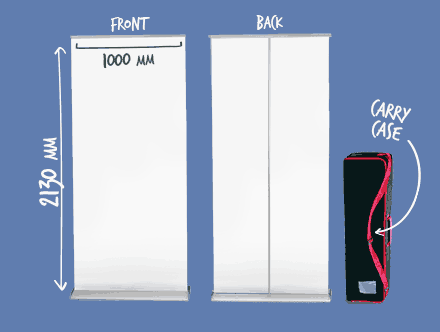 Roller banners (also known as roll up banners, pop up stands & pull up displays) are a great way to advertise your business, event or special promotion. Indeed they can be used to advertise just about anything. 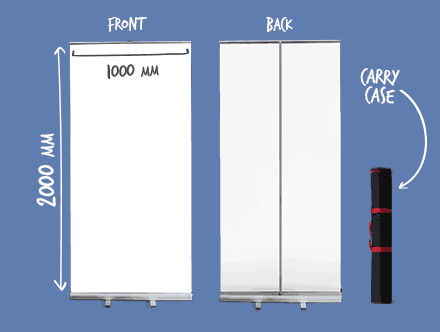 They are portable, lightweight, easy to install, easy to dismantle and simple to store. Once a stand is assembled at its location it starts work immediately. An excellent no fuss form of advertising for any business to get their message across quickly to their target market. 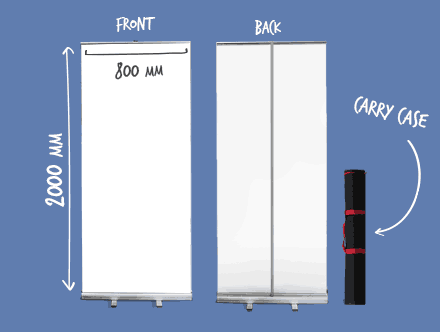 I have compiled a range of roller banners which I believe fit the needs of most small to medium size businesses.